Many addicted men & women find direction and support in Christian rehabilitation clinics across Australasia. 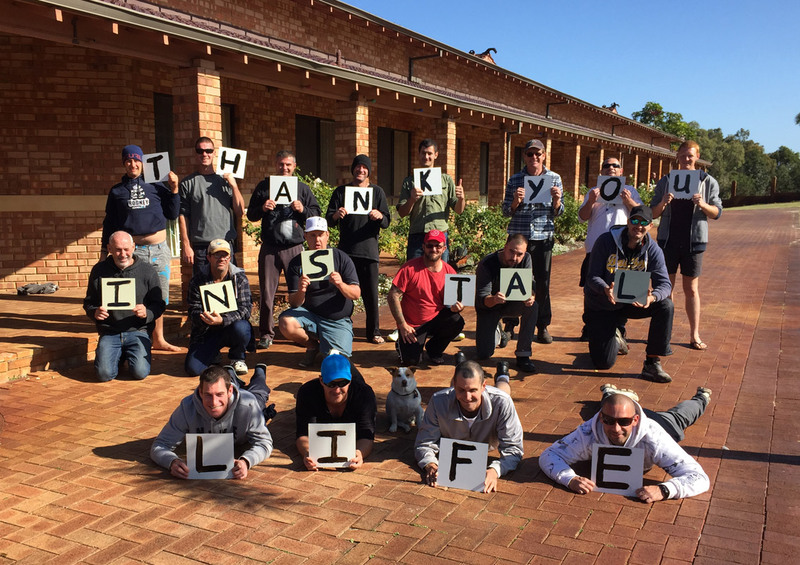 The Instal-Life family’s support has provided installations into 15 rehabs across our region EVERY YEAR. Instal-Life is committed to do what we can to help support the workers and their clients by providing free, life-changing programming through Christian Satellite TV. 10,000+ men, women & children can TODAY watch CH 7, 9, 10 & GOD TV in their own prison cell because of YOUR support and that of the Instal-Life Family. Our vision is to install GOD TV into every single prison cell across Australia and New Zealand. THERE ARE 40,000 MORE INMATES THAT WE STILL NEED TO REACH TOGETHER! ONE HUNDRED (100) full time missionaries are funded by the Instal-Life Family. Our aim is to support 100’s of missionaries to reach the region of Northern India and Nepal. This region is the most unreached people group IN THE WORLD. We will be taking steps closer to our goal with YOUR continued partnership. Hope is what is needed most in remote Aboriginal Communities and you can help provide this hope for those who may be isolated, forgotten and hopeless. We believe the Gospel changes communities and by providing and installing Christian TV, together, we can affect change. Instal-Life is committed to do what we can to help support them by providing free, life-giving programming through Christian Satellite TV. Every year, your partnership & support has provided installations into a minimum of 15 rehabs centres. Our most recent installation was at Teen Challenge in Gibson, WA whose work is said to be the most effective substance abuse recovery and prevention program of its kind. Like any journey, the road to sobriety begins with taking the first step. Many broken men & women find direction and support in Christian rehabilitation centers across Australia. A Thank-You PHOTO from the men at SHALOM HOUSE after we installed Christian TV FREE of charge. Shalom House is a men’s Residential Rehabilitation Centre that is changing the lives of men and their families. On behalf of the team here at The House of Grace, we would like to send our sincere appreciation for your donation and installation of Instal-Life Christian TV. We were blown away by your generosity – we are truly grateful for your support! Your help is making a difference in the lives of all who work and live here in the home, as well as in the office. It will truly help us to continue to provide a safe, supportive environment in which the teens can learn the skills and knowledge required to parent confidently and have healthy, well-cared-for newborn babies. You are enabling us to provide a much needed service, empowering teens and young mums to reach their full potential. You are helping The House of Grace to build a lasting legacy with an ongoing impact”. The House of Grace A home for pregnant teens in Hamilton New Zealand. I'd like to contribute to missions. Imagine being imprisoned for a moment, stuck in a small room for up to 23 hours everyday, isolated and lonely. Your only entertainment is a TV and some books… I bet you would CHANNEL SURF. Our prayer is we reach MANY inmates with GOD TV. Currently over 10,000 have access in their cell due to the prayers, breakthrough and funding of Instal-Life & our partners. That we can read or hear about Jesus any time we want to while millions have never even heard His name once. We are committed to right this injustice by establishing local churches, planted by local Church Planters in the local language for the local people. Friends, when you partner with Instal-Life you are also partnering with local Church Planters. Lives are being transformed right now eternity is being changed through your partnership – because you are choosing to help right the greatest injustice of all. Thank you for making such a significant difference! In eternity you will be so glad you did. Instal-Life is committed to support people living in remote communities. We have partnered with Chariots of Fire Ministries, Ps. Jack Harradine, Mission Aviation Fellowship, Woolaning Christian Schools, and others to share the good news about Jesus Christ, increase availability of Christian resources and offer two FREE Christian Satellite TV installations into every community. So far, the impact has been tangible. Since installing Christian TV into Mulan Community, there has not been ONE suicide for 2+ years. Many have been baptized and have received healing and continue to be discipled by the programming and local pastors. God has transformed this community. Wouldn’t you love to see more communities transformed? BAPTIZE – This is Hanson, in the freezer, getting baptized. He will be the new pastor with Joseph for their new church Holy Fire Desert Church. HEAL – Betsy (in blue) loves her family and Community. Her husband is on the left and her other daughter is May. When we were installing GOD TV in Mulan, May asked if we would pray for her as she had kidney stones and gall bladder problems and required surgery. Our technician, Brian, and his wife, prayed for her. When she went for a final check up before the surgery, the doctor could find no problem at all and sent her back to Mulan.